The affordable housing shortage that was routine prior to the housing collapse a decade ago took center stage among panelists and experts in the Las Vegas Housing Outlook held April 21 at The Orleans Arena. 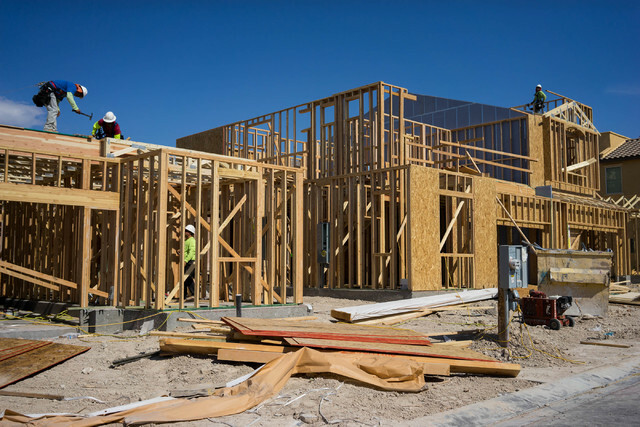 Dennis Smith, president of Las Vegas-based Home Builders Research, who organized the conference, said new home median prices should hit a Las Vegas record in the next couple of months. It reached $329,000 in March and will close in on the record of $337,000, Smith said. Smith projected new-home prices will increase between 6.5 percent and 8 percent in 2017 and rise another 5 percent to 7 percent in 2018, in part because of rising labor and material costs. Limited availability of land has also contributed to price increases. Not helping with the affordability problem, according to John Restrepo, principal at RCG Economics, is that the average weekly wage in Las Vegas at $650 is starting to lag behind housing prices. Restrepo said home affordability isn’t as bad as it was in 2005 and 2006, when homes were only affordable to 15 percent of the local population. It got as high as 90 percent but has since fallen to approximately 60 percent. The rising prices haven’t tempered sales. There were 2,631 new home sales in the first quarter, compared to 2,231 during the first three months of 2016, for an 18 percent increase, Smith said. New home closings should increase by 7 to 8 percent in 2017 and 5 to 7 percent in 2018, Smith said. John McLaury, vice president of sales and marketing at KB Home, said prospective buyers feel the urgency to purchase because of the concern of continued increases in interest rates and the rising cost of new homes. However, McLaury said there’s a limit on what builders can charge. It’s a question of what people are willing to pay, he said. The lack of availability of desirable existing homes at good prices has pushed buyers into the new-home market, McLaury said. There were more than 5,500 existing homes on the market in April without any offers, Smith said. Not only are some homes undesirable, but some homeowners are unrealistic in overpricing their homes on the market, he said. By the end of the year, Las Vegas could have a two-month supply of homes on the market, he said.